This outlook can be directly seen in not only in the goods being sold here, but the food as well. Vietnamese, German, Thai, Russian baked goods, and so much more food can be had here. Xinbei’s Istanbul Restaurant was in attendance with some of their Turkish desserts and their belly dancer, for example. This also includes long-time Changzhou veterans like Summer, to newer bars like OK Koala serving imported drinks. A shopper looking for high-end and organic dried fruit and honeycomb can even peruse a booth here. While international in design, the fair seemed to be pulling in interested people from the foreign community as well as a lot of curious Chinese locals. The draw, one has to say, though, is definitely the food. Changzhou’s culinary landscape has been steadily growing, and the fair certainly did well to showcase diversity. Wujin’s Chocolate’s Bar was on hand with warm mulled wine, German sausage, and very, very good sauerkraut. 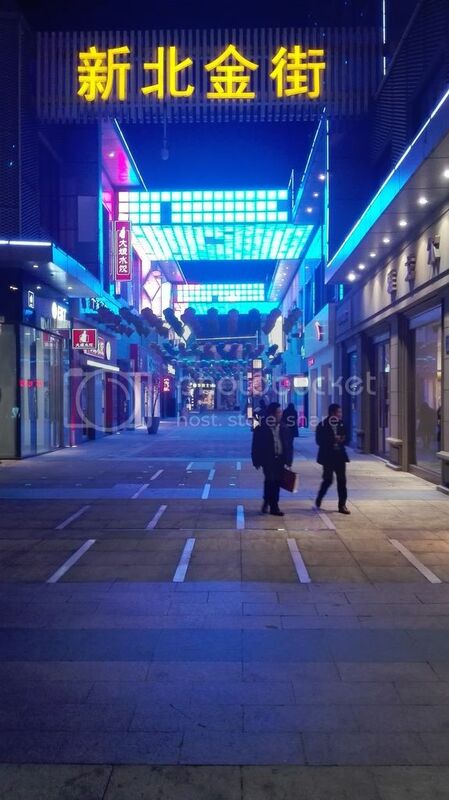 Changzhou has also had newer and lesser known attractions like the Vietnamese restaurant downtown, and a new Thai hot pot restaurant in Xinbei. These are places that really deserve a visit and your money. In retrospect, I am kind of frustrated with myself for not taking more food pictures at the stalls. Chocolate’s German sausage and sauerkraut for 20 RMB. Saigon Maison’s beef noodles and Chicken dish. Both were 10 RMB each. Yum. Sunday, December 4 is the last day of Dragon Fair. If you go, you might see a nameless, and rather hapless, city blogger dressed up like Santa Claus. How he let himself be persuaded for the job is a tale for another time. Even on the threat of torture, he would not divulge the times he would be masquerading as Father Christmas. So, you might see him, you might not. Think of it as a gamble. And, that’s irrelevant and beside the point, anyway. There is great food to be had, here. Plus, in the run-up to Christmas, unique gifts for loved ones and friends can also be found. Dragon Fair is currently located on the basement level of the absurdly large Global Harbour Mall in Xinbei. It is easily accessible by taking a B1 bus north. The mall has it’s own BRT station. The event ends at 8pm. From time to time, you will find the strangest things on public display in Changzhou. 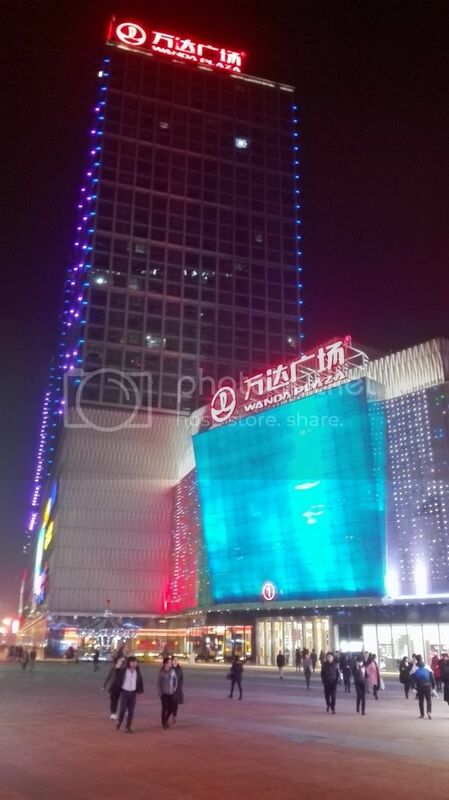 The Jiu Zhou New World shopping mall has one such oddity. Technically, it’s not in the mall, at all, but in the sunken fashion plaza beneath Lanling Road . You can, however, walk from the mall’s basement level to the fashion plaza easily. It’s a wall mural the features the Incredible Hulk standing at a urinal. His hand is on the wall, and he is straining. The wall is crumbling under the might of his grip. And his pants are falling down, revealing the crack of his buttocks. Spiderman is standing next to him, and he is looking down. You can easily assume what Spiderman is looking at. Lighting bolts of surprise emphasize his shock. Now, I am not going to speculate what Spiderman is thinking or contemplating. You can look at the picture and figure that out for yourself. The empty space next to Hulk is what I am curious about. There are also concern lightning bolts, but there is nobody standing at that urinal. So, this leaves me to wonder. What Marvel characters have the power of invisibility? I didn’t know, so I Googled it. As it turns out, the ability to vanish is not a common ability i the Marvel universe. Most of the characters I found were minor and mostly apocryphal. The biggest of all the names seems to be Dr. Stephen Strange — who is currently being played by Benedict Cumberbatch. Or, as Chinese women love to call him, Horse Face. So, my guess is that it’s him, and he’s mystified.